24-7 Auto Keys Made in Allentown, Bethlehem, and Easton PA. When you lose your car key, you spend quite an amount of time searching for it anywhere. In addition, you waste energy also by thinking where could you leave your only car key. As the time passes by, you probably start to realize you’ve got into troubles. However, you may know there is an easy and fast solution to your lost car key problem. 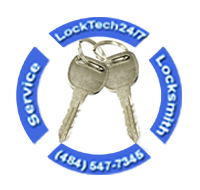 Lock Tech24/7 is a local and a mobile locksmith company, serving the greater Lehigh Valley PA, and beyond. We provide new auto keys made on site, whether you need a basic auto key, a transponder auto key, or high-security laser cut key. Considering making new transponder keys and high-security automotive keys, anti-theft systems of vehicles get more advanced, in time. That is the main reason why you need a professional auto key made specialists in order to make a new key to your car. Although, you’ve lost your only car key, we can cut a new key by code to your car. We work with NASTF! NASTF is a corporation that responsible on the OEM services in the U.S. The National Automotive Service Task Force works only with registered and licensed locksmiths. Emergency and mobile auto keys made! How convenient it is! As you can see above, you can rest assure that you call a professional auto keys made, whenever you need us in the Lehigh Valley. We can cut transponder car keys, as well as laser cut (high security) car keys. With this in mind, if you’ve lost car key in the snow, or even if you’ve locked keys in the trunk, we can help. Car key made easy and fast is your way to go like it never happens. You can rely on our 24hr mobile auto locksmiths to get you back on the road, soon after you dial our number. Please call now.